“A Midsummer Night’s Dream,” at Schoolhouse Arts Center, Route 114, Standish. 7:30 p.m. on Friday, Aug. 17 and Saturday, Aug. 18; and 2 p.m. on Sunday, Aug. 19. $10/$8. 642-3743 or www.schoolhousearts.org. “Paquita” and “The Poet’s Love,” presented by Maine State Ballet, 7 p.m., at Maine State Ballet Theater, Route 1, Falmouth. $15-$20. 781-3587. “Beyond the Rainbow: The Judy Garland Musical,” Arundel Barn Playhouse, Old Post Road, Arundel. 8 p.m. Tuesday-Saturday, Wednesday matinees at 2 p.m. Also Sunday, Aug. 21 at 8 p.m. and Friday, Aug. 26 at 2 p.m. 985-5552 or www.arundelbarnplayhouse.com. Bands on the Boardwalk, with Line of Force, 5:15 p.m., Riverbank Park, at Main and Bridge streets, Westbrook. Free. “Forever Frank,” tribute to Frank Sinatra, presented by Reindeer Theatre Company, 7:30 p.m., American Legion, 17 Dunn St., Westbrook. $10. 857-9002. Gospel concert, presented by Tedd Fish, 6:30 p.m., White Rock Free Baptist Church, 300 Sebago Lake Road (Route 237), Gorham. Free, donations accepted. www.teddfish.com. Glen Campbell’s “The Goodbye Tour,” presented by Portland Ovations at Merrill Auditorium. $41-$65. 842-0800 or www.portlandovations.org. Open house, 5-8 p.m., Dance Studio of Maine, 6 School St., Gorham. Workshops, tours, refreshments. Open to the family. 839-6161 or dancestudioofmaine.com. “Thoreau the Futurist and the Emerging Human,” 5:30-7:30 p.m., at The Art Gallery on the UNE Portland Campus, 716 Stevens Ave., Portland. www.une.edu/artgallery. “Lost Trails: Nine Days Alone in the Maine Wilderness,” book discussion and signing by authors Lynne Plourde and Donn Fendler and illustrator Ben Bishop, 6-7 p.m., Portland Museum of Art, Portland. Free. Spinning demonstration and creations, presented by R&R Spinners, 10 a.m. at Sabbathday lake Shaker Village, Route 26, New Gloucester. Free. “The Hunger Games,” free screening, 2:30 p.m. at Portland Public Library Teen Room, Rines Auditorium of Main Library, Congress St., Portland. Spring Point Ledge Lighthouse, South Portland, open 11 a.m.-3 p.m. Also open Labor Day weekend, Sept. 15, Maine Lighthouse Day and Oct. 6. “Here and There,” photography by Daniel E. Davis, Glickman Library, fifth floor, USM Portland campus. www.usm.maine.edu. 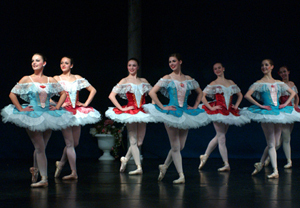 Maine State Ballet Theatre presents “Paquita” and “The Poet’s Love” Aug. 17-18.